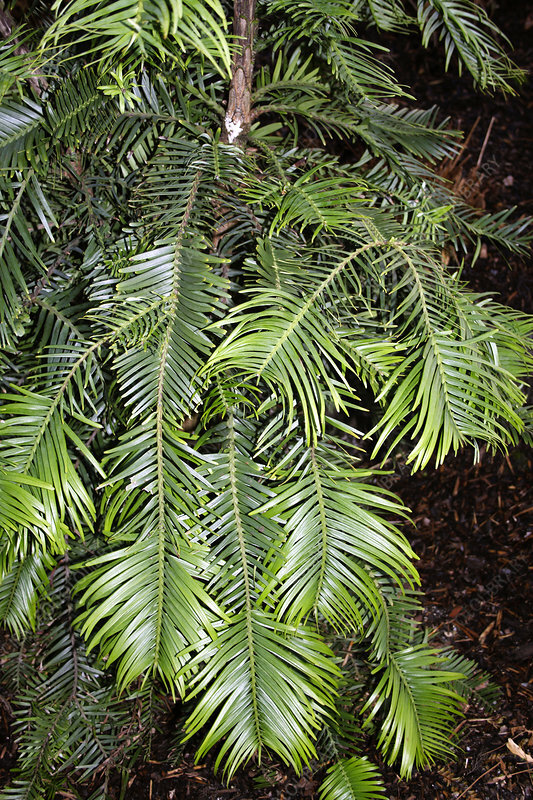 Wollemi pine tree (Wollemia nobilis). The wollemi pine is an evergreen coniferous tree in the family Araucariaceae. Discovered in Australia in 1994, it is one of the oldest and rarest species of plant in the world (as of 2008). It is the sole living member of its genus, with a fossil record dating from 90 million years ago. It is thus referred to as a living fossil.